So you want to start learning how to draw flowers, huh? 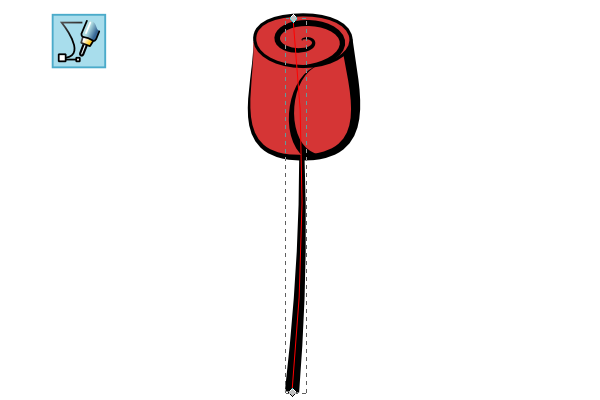 Well, let’s get Inkscape open and go over how to draw a clip art looking rose in this tutorial. Let’s start by drawing a simple circle for the top of the flower. 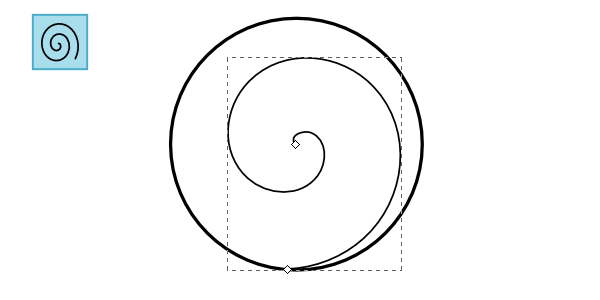 Then use the Spiral tool to draw a spiral within the circle. You may have to tinker with the settings to get it to look just right. 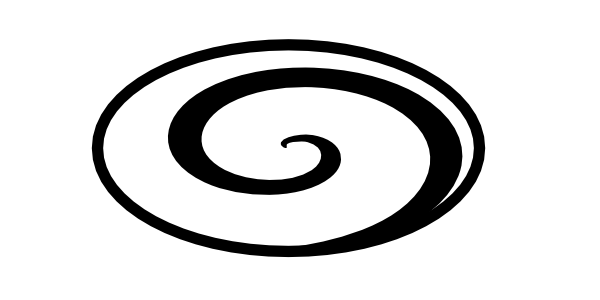 Select the circle and spiral and flatten them a bit like I have below. Also, while they’re still selected, let’s head up to Path > Object to Path to convert these. 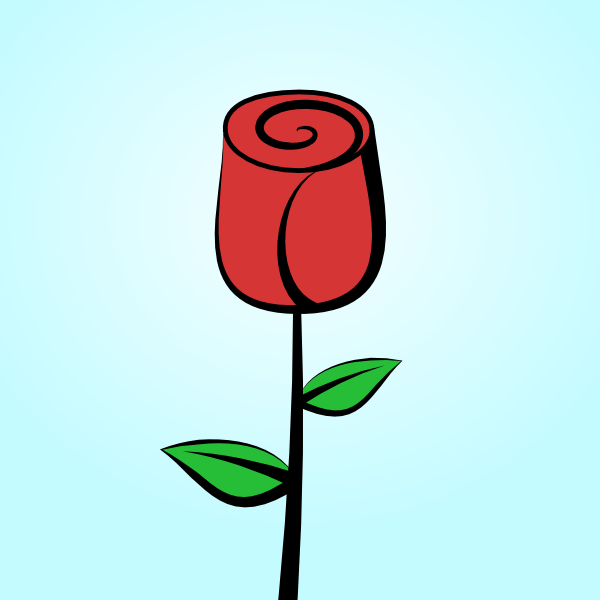 To give this rose some more character, I want to use tapered lines. 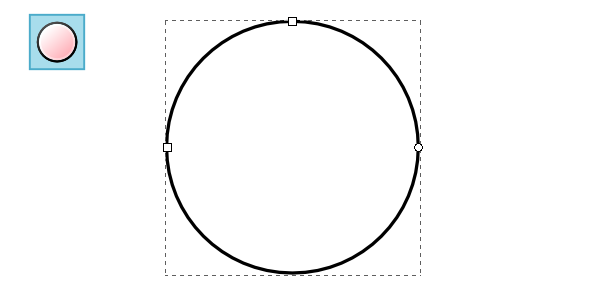 To start this, just draw a flat ellipse somewhere on your canvas. Then copy it to your clipboard. 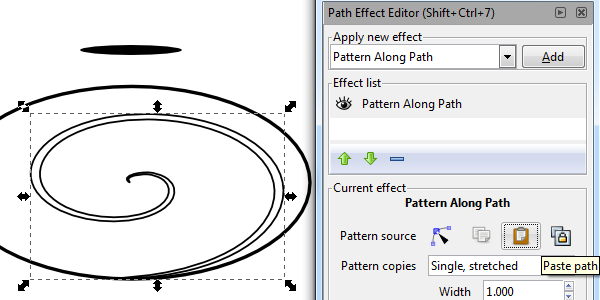 Now, it’s time to open up the Path > Path Effect Editor. 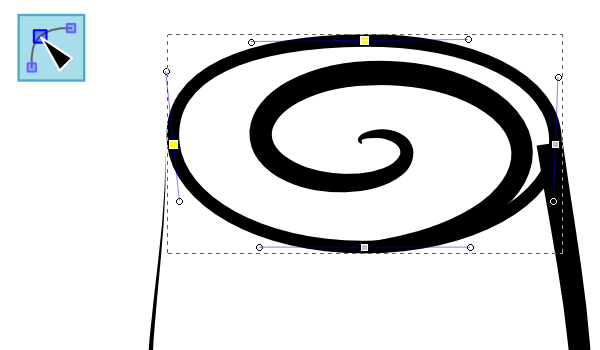 Select the spiral, add a Pattern Along Path effect, and finally click Paste path for the pattern source. 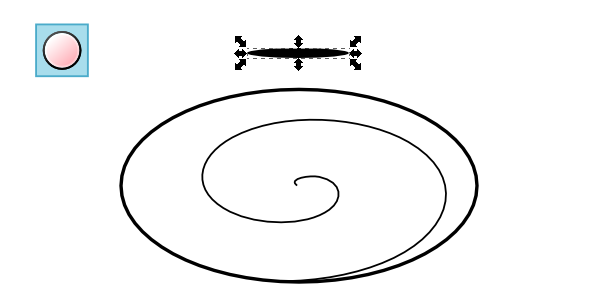 Since we copied that ellipse, it’s shape will now be stretched along the spiral. 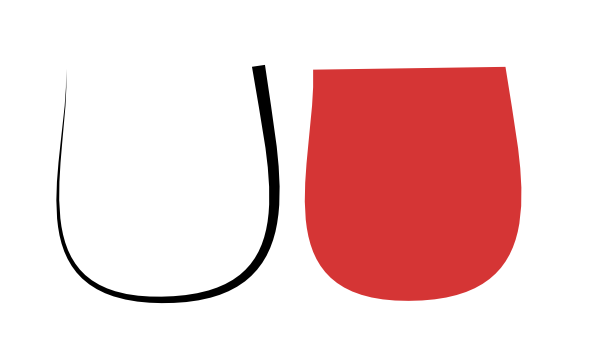 After I removed the stroke, added some fill, and adjusted the stroke width, I ended up with something like this. To start creating the flower base, let’s grab the Pen tool and change the Shape to Triangle Out. 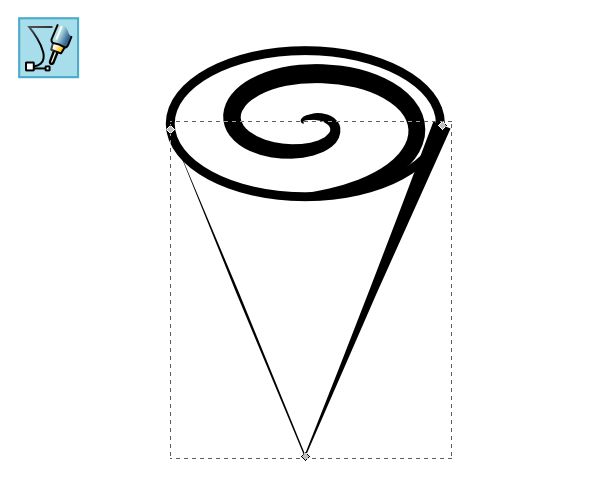 Then just draw a cone shape like I have below. 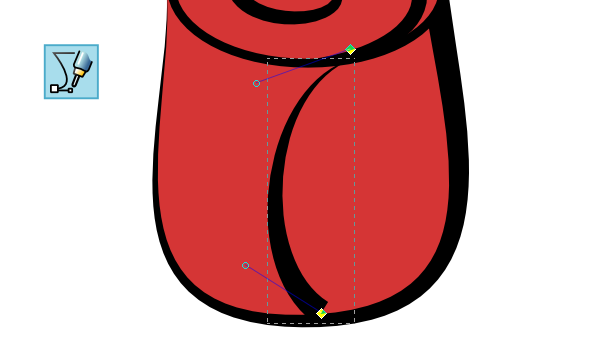 Next, grab the Nodes tool move/smooth things out to create that flower shape. While we still have the Nodes tool out, let’s just slightly bend some of the top parts to make it looks more natural. Now we want to add some color, but you’ll quickly notice that you can’t simply fill tapered lines. A quick trick to do this is to duplicate the tapered line, head to Path > Remove Path Effect, and then fill your new section with a color. Then just place the colored section behind the tapered line. I also colored the top circle the same red. Finally, I want to add a little petal detail here. 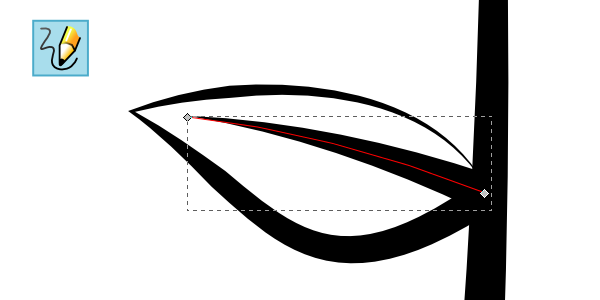 Just use the Pen tool with a Triangle In shape and draw a curved line. Also, notice that the bottom of my petal line doesn’t meet up with the bottom very well. We’ll fix this in the next step. 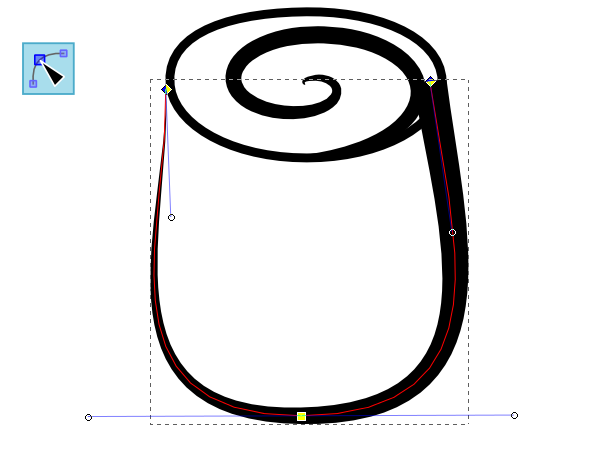 When you start trying to make tapered lines meet up at other places, they can sometimes leave little gaps. 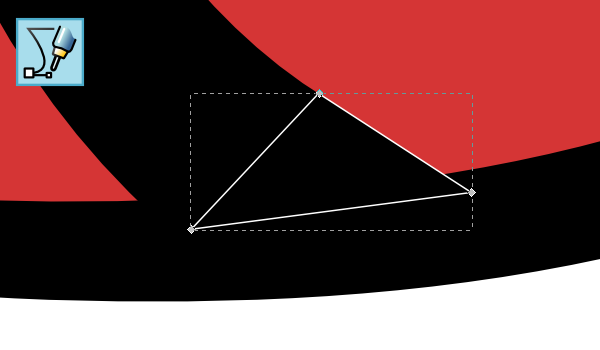 I’m just going to use a little “draw a black triangle” hack. The stem is easy. 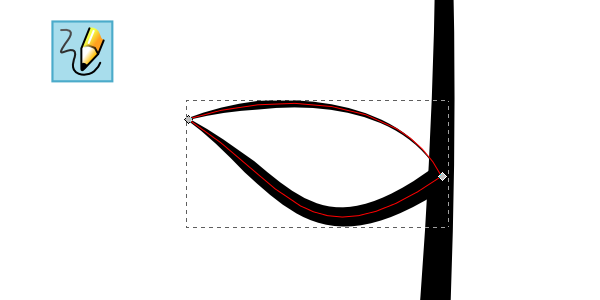 Just use the Pen tool with a Triangle In shape to draw a very slightly curved line. The leaves are also fairly easy. 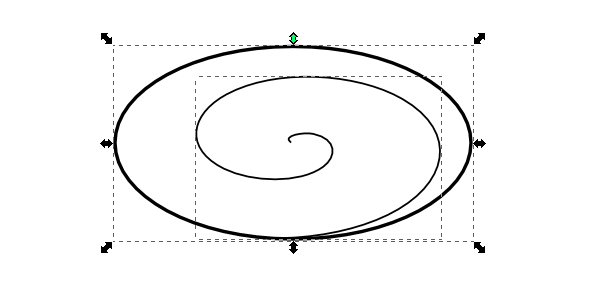 Use the Pencil tool with a Triangle In shape and free hand a couple lines like I have below. Increase the Smoothing until you get the result you want. And draw another line down the middle to finish it up. 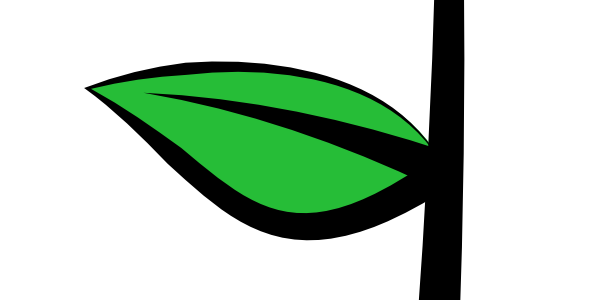 As for coloring the leaf, use the same method in 2.4 to create a separate colored shape to place within the leaf. I wanted another leaf on the other side, so I grouped the first leaf, copied it, flipped it horizontally, shrunk it, and rotated it a little. All that’s left to do is add a background if you desire. Looks great, right? 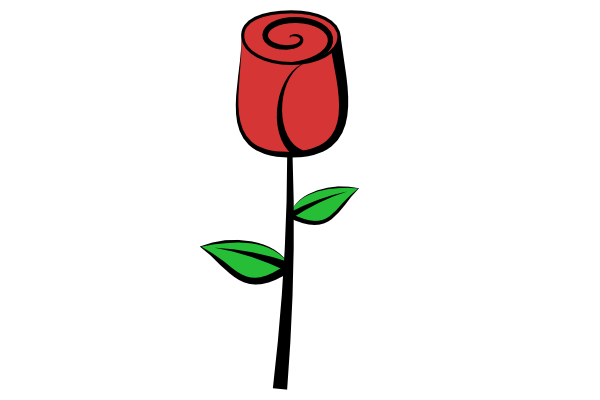 This Inkscape tutorial was very heavy on using the Path Effect Editor, which creates a very clean looking rose. 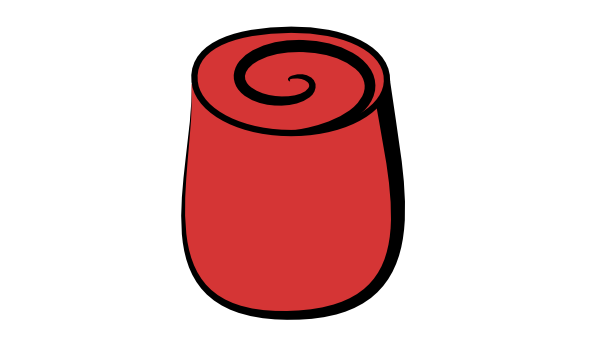 The end result is a little abstract and subtle on color, so this rose would probably fit for a bunch of uses. Thanks for reading!